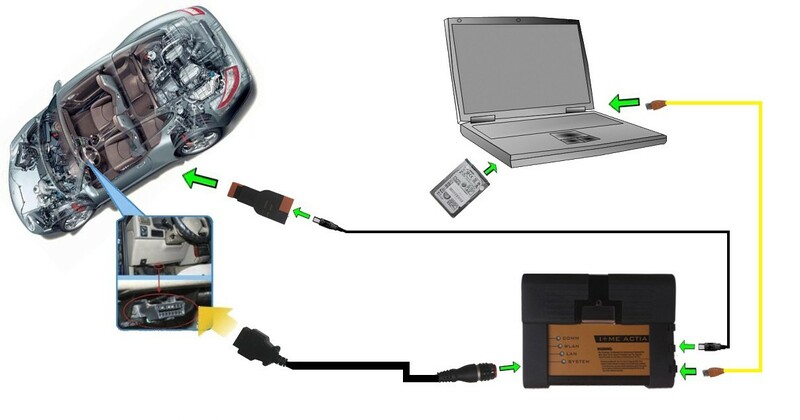 1.Super Version ICOM A2+B+C for BMW is best car diagnostic tool for BMW. With newest software version 2015.03, its performance is better than ICOM. 2.The item comes with Rheingold 2015.03 version software which can run on win 8. Please don't connect the Internet or connect to the server of original manufacturer when use the software. Please don't change the laptop frequently otherwise the icom might be broken. 4. Powerful engineer software: Reflash the hidden function of all BMW AG models, separately program each module, program and decode for the old parts that need to replace, change Human Machine Interaction (HMI) language (Note: The operator need to be very well qualified-like BMW engineer). If you want the following languages: English/German/Russian/Chinese, diagnose, programming, circuit diagram information are all in full multi-language,you can buy the SP168-BO.